We passed this sign on our way to Burlington yesterday (actually Essex VT). Billboards aren’t allowed in Vermont, but this caught our attention. This delicious, crispy, honey-tasting apple became our favorite last year in Charlotte and Liz’s in DC. Last fall we probably had a half-dozen or more phone calls about our respective latest sample. 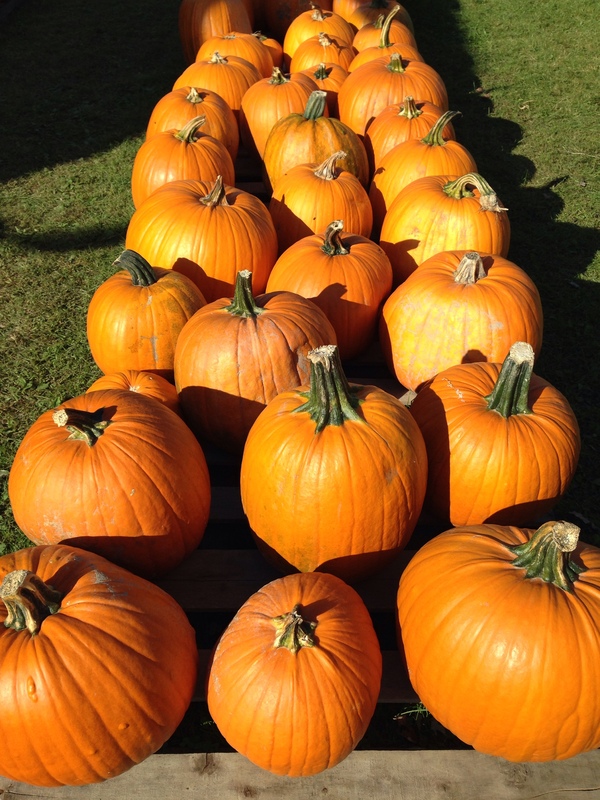 Then they disappeared from the produce shelves for the season. So in a “stop and smell the roses” moment, we drove the 1.7 miles back to the sign today to get some of this season’s fresh crop. 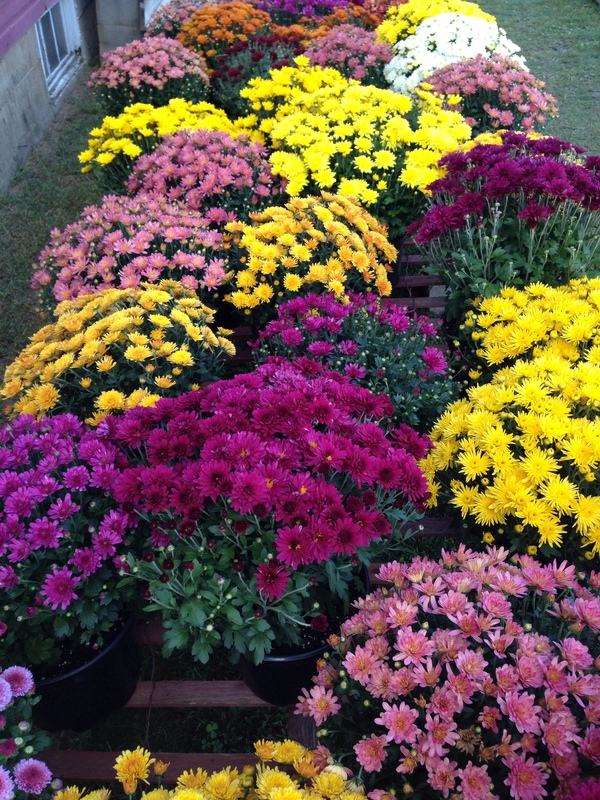 Then it was another 1.5 miles to a very stony dirt road, with Michael worried about flat tires the whole way, and finally Chapin Farm, with lovely chrysanthemums and pumpkins. 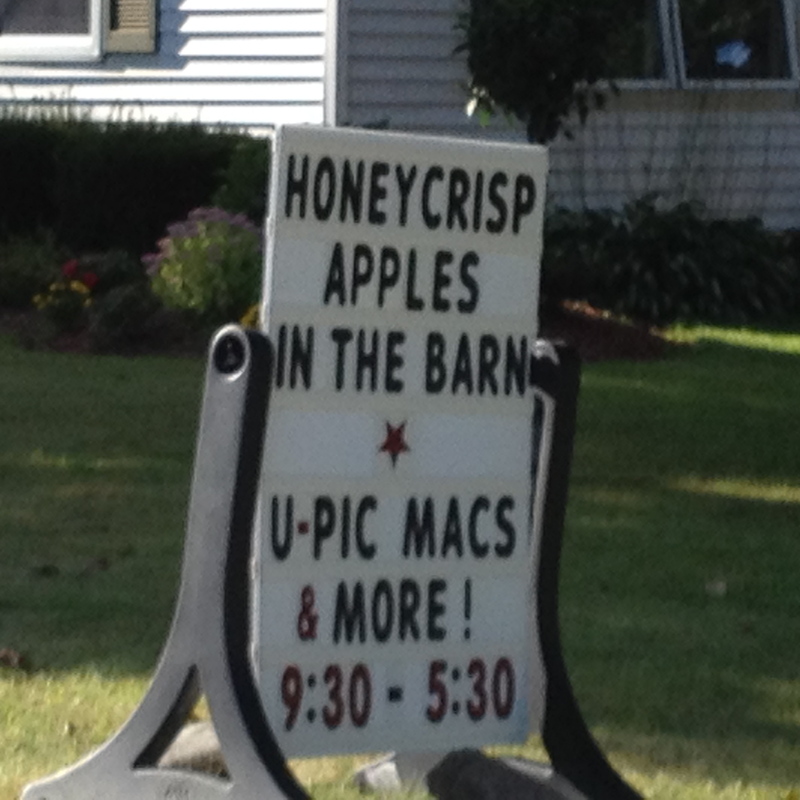 True to the sign, the Honeycrisp were “in the barn” and we got a whole bag full, all the while smelling cider and doughnuts. (Note: not donuts!) 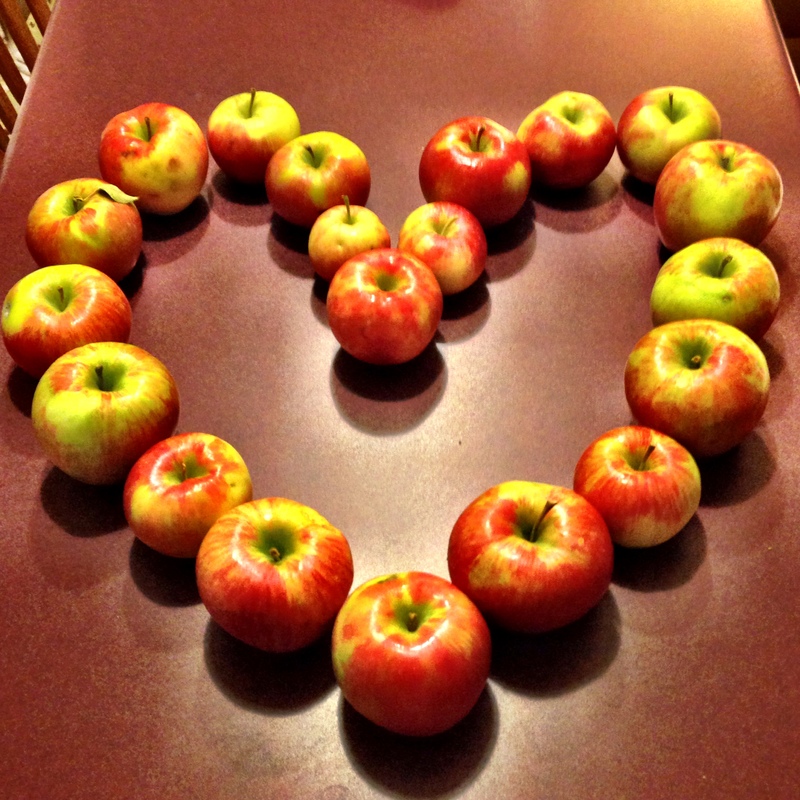 At Harris Teeter the premium Honeycrisp last fall were $3.99/pound so one apple could be $4. What a steal: We bought all these for $12.50. The first bite was heavenly. A whole bag of Honeycrisp! Chapin is a U-Pick farm. Michael spotted Macintosh just behind the barn. 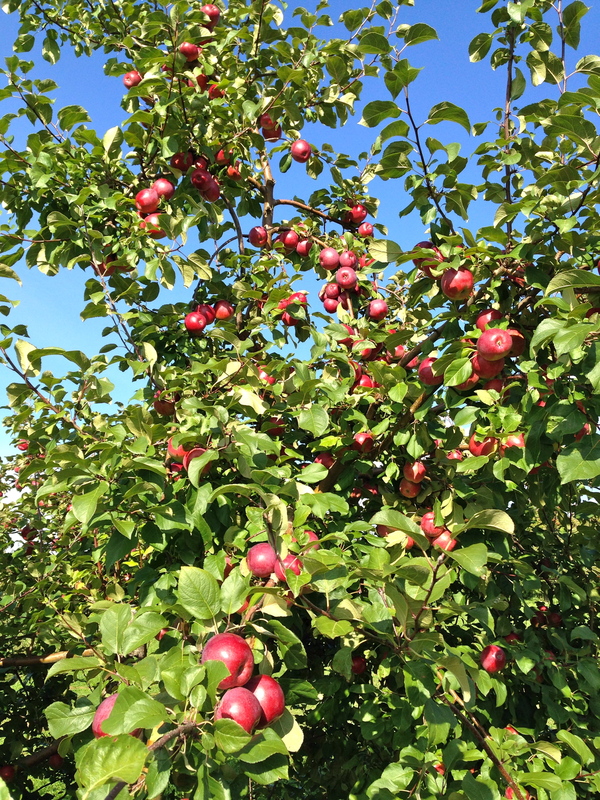 Macintosh often sell for $0.79/pound at the store and the trees are heavy with fruit. When we asked the Chapin cashier where the Honeycrisp trees were, she was rather evasive. She said she didn’t even know herself. Honeycrisp are decidely not U-Pick items. My interpretation: These apples are good as gold and they don’t want anyone to know where to find them. I guess we looked like apple poachers. This is for you, Libby. Wish we could share our bounty with you. 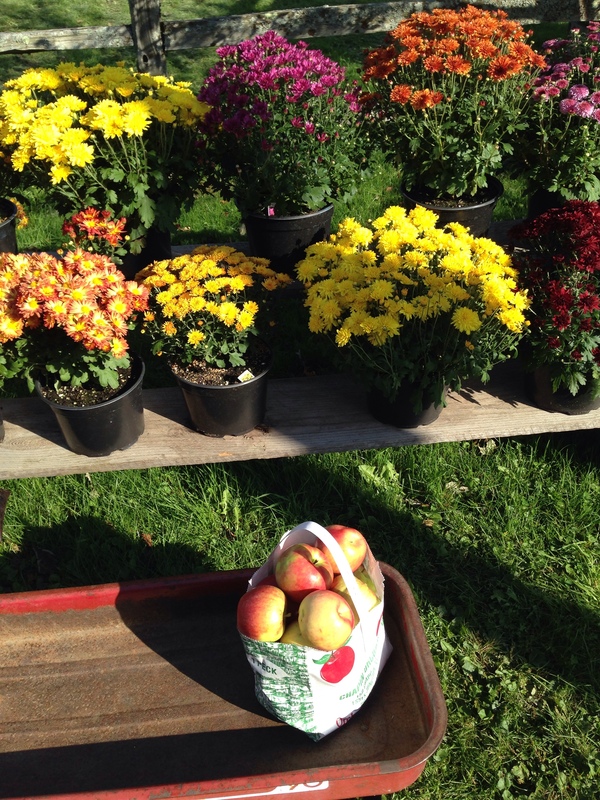 This entry was posted in Smell the Roses and tagged apple, Chapin Farm, HoneyCrisp, U-Pick, Vermont. Bookmark the permalink.